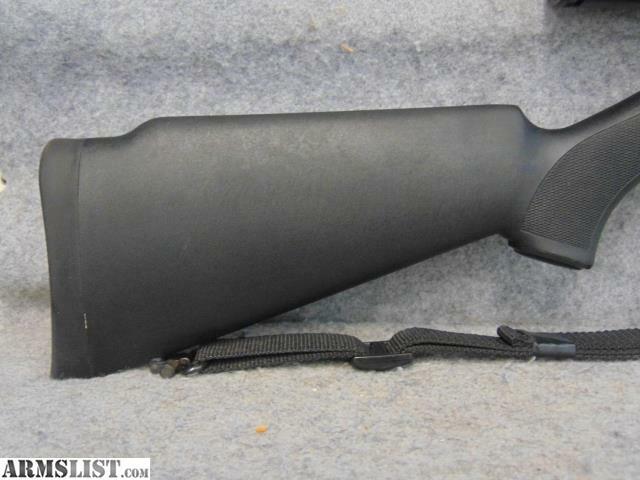 Condition: This TC Z5 muzzleloader is in great condition overall. 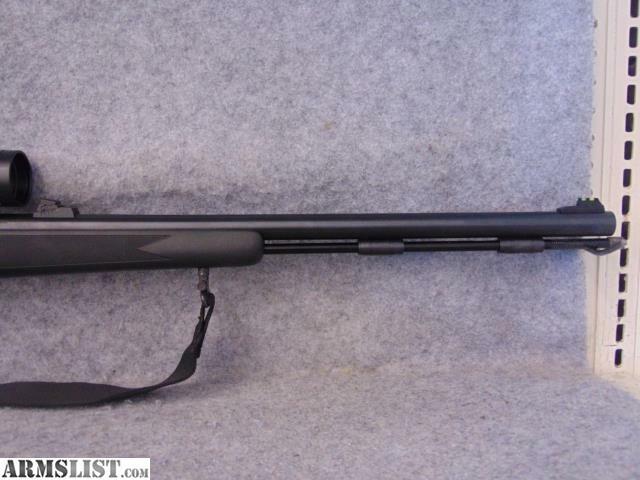 Barrel length is 28” and it comes with black composite stock and black metal finish. There is a little pitting in the barrel near the muzzle end but the rest of it looks to be in good shape. 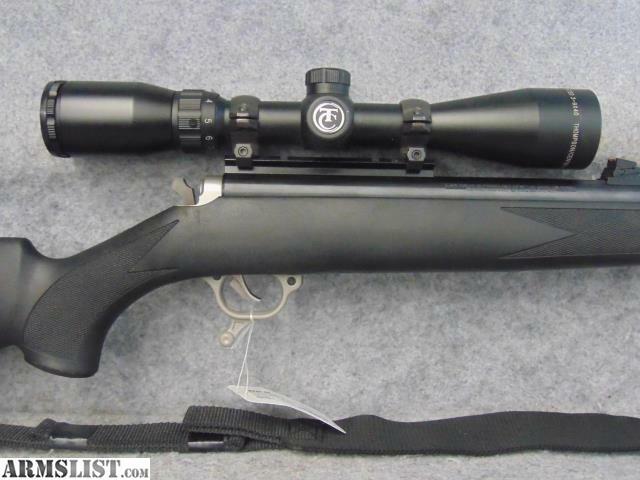 Rifle also has a 3-9x40 TC scope attached. The breech seals the primer from rain and snow and is easy to open with a simple forward motion of the lever on the trigger guard. The sealed breech plug design also prevents the crushing of Pyrodex pellets. The Z5 can handle a powder load of up to 150 grains for more power or longer range shooting.